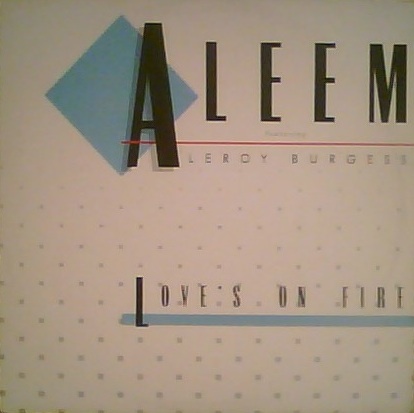 Leroy Burgess (born 20 August 1953) is a singer, songwriter, keyboard player, recording artist, and producer. He is related to Thom Bell and Kool & The Gang members Robert “Kool” Bell, Ronald Bell (a.k.a. Khalis Bayyan) and Amir Bayyan (a.k.a. Kevin Bell) of the Kay-Gees, as well as Archie Bell of Archie Bell & The Drells. Burgess was a member of Black Ivory and lead vocalist on the majority of their hits in the early ’70s. The band was signed by small East Coast label Today/Perception, which was run by Patrick Adams, also the band’s manager. Burgess frequently collaborated with Adams in writing songs, as well. As a solo artist Burgess had numerous club hits in the 1970s and 1980s including “Heartbreaker”, “Stranger” and “You Got That Something”. Burgess chose to move on, joining the band Aleem, which had hits with “Confusion”, “Release Yourself”, and “Hooked On Your Love”.